It has almost been 8 full seasons since Bruce Allen has joined the team. I would agree that we are no longer the laughingstock we once were under Vinny Cerrato's leadership, but what has really changed? Time will tell how the remainder of this season will play out. The two years under Mccloughan produced back to back winning seasons for this franchise for the first time since 1997, and yet here we are. Bruce Allen, Doug Williams, and a Gruden running the organization. A similar structure to the one in Tampa Bay in the mid-2000s, which produced mixed results. The most troubling thing about the current arrangement is the lack of a General Manager. Apparently, decisions regarding personnel are made by a collection of individuals in the Redskins front office and coaching staff, which is not a bad way of doing things. But the absence of a GM makes it hard to know who is responsible for what, and who should be held accountable for certain decisions, both good and bad. WHO has final say? Yes, there was a search this offseason to fill the position. We don't know all of the candidates that were considered, but quotes like the one below are discouraging for obvious reasons. If Allen is honestly calling the shots and has final say on decisions, why not just accept the GM title and move on? There are a number of reports that he's involved in personnel decisions, deciding when to challenge plays (that extra timeout would have been nice during the final drive last week), etc. and yet his title is Team President. Its about their own self-preservation. Period. Can we rename this thread the "FIRE Bruce Allen / GM Thread" ? Sadly, that's exactly what it looks like. More embarrassing than the firing of Scot was the "search" for a new GM and promotion of Doug. Sad, that we saw that coming from miles away. And when/if things get bad, guess who's gonna be the fall guy. It really makes me wonder if Dan Snyder really wants his hands in things and that's why Scot was fired. Or perhaps Bruce couldn't handle someone else getting all of the glory? Or was Scot really having issues? It's a mess in the Redskins front office and we didn't hear much about them during Scot's two years. It seemed like he was in control and everything was smooth sailing. Bruce Allen's tenure as a sports agent in Arizona during the mid to late '80s is some of the most interesting reading you can do about Allen the man. There were a series of articles by the LA Times documenting the FBI investigation, the lawsuits and the various allegations of impropriety. When we hired GMSM, I really had hope that Snyder had learned his lessons. The results seemed pretty instant too. Now whether you feel GMSM was fired for justified reasons or not, it does worry me where the front office has gone back to a "well, no one is really the authority/in charge" model of doing things. It makes me think that ultimately Snyder has gone back to being the 51% vote on things. Maybe I am totally wrong about this and am basing this purely on the sins of the past. Time will tell, however I personally would feel much better if the front office had a GM or "Personnel Specialist" or whatever they want to call it, that is the clear person in charge, and everyone else in the recruitment process works under that person and answers to them. If Bruce Allen is a GM then I'm the King of England. I've been hoping for a return to Feudalism, my Majesty. Could you work on that? That has been the one word that has stuck out to me while thinking about this entire situation: accountability. The players and coaches seem to be held accountable for the product that is put out on the field. But what about the person(s) picking the players and trying to assemble a consistent winner? The coach is supposed to be the leader that the players follow week to week. Who is the clear leader in the front office that is steering this organization in the right direction year to year, most importantly from a personnel perspective? Things got really ugly in 2009 which led to Cerrato being let go. At the end of the 2014 season, the organization and Allen felt that same type of pressure from the fans (Does anyone else remember that end of year press conference?). I feel that two winning seasons has tempered those feelings, but I could absolutely see something similar happening in the future if the team does not improve. No problem Prince Monk, you will also be given a knighthood for being a Redskins fan for all these years. It the least I can do ?. It's almost like the Skins front office is modeling itself after the dysfunctional Bidwell front office of the St. Louis Cardinals NFL franchise. I'm seeing the same "over-economizing" approaches, but then followed by very odd decisions that results in over-spending. The NFL St. Louis Cardinals was generally quite an inept franchise even when they landed great QB talent like Neil Lomax. And, as you know, the ultimate shafting of the St. Louis fan base occurred when Bidwell moved the team out to Phoenix. I always wonder if Snyder might consider doing something like that as well. I doubt it -- because Washington has traditionally been a great market for football -- but I can't help but note how Snyder/Allen are beginning to sour that relationship a bit too. Hopefully if/when they get their new stadium, things will turn around. ? Whomever the GM is they are just a media meat shield for Snyder. Personally I can't really blame Snyder. If I was a self made billionaire because of the decisions I've made then why would I hire someone so I can be hands off? Being 'hands on' has resulted in an insane amount of success. Why would I switch gears for this one investment? I actually might despise Allen more than Snyder. Maybe. I don't know. I think he's a crappy, duplicitous, hypocritical human being with no understanding whatsoever how to inspire anything but paranoia, confusion and discord. He absolutely sickens me. When Allen was hired, Snyder had to install triple wide doors to the entrance so Bruce's ego could get in. Bruce got rid of Scot because he saw Scot steal his bottle of scotch from under the desk. Scot wanted things one way, his way, Bruce didn't like it, and saw the open window of opportunity to get rid of him. Its not about a drinking problem at all; this was control-related. All one has to do is go look for some past history on other teams Bruce has been with, and you'll see they all went south after 1 good season. He is constantly looking for cheap but good players and will let good vet players go and take chances on others willing to play for peanuts. That's his genius M.O. Sad part about it is, it backfires way more than it hits, costing the team. Make no mistake, Bruce wants his fingers in every pie of the organization's banquet. Hie ego extends much further than his skillset; yes he may be a cap specialist, but that's where it stops, but it doesn't stop him from influencing the highest-up Snyder into believing him. I don't like the guy; IMO he was hired moreso as a figurehead, just because his dad was a good coach here, Snyder seems to think Bruce is equally as talented, and that's where the apple falls from the tree, rolls across the road, and ends up in a ditch, to rot away, just as this team will do as long as he has any say-so whatsoever on player acquisitions. It really makes me wonder if Dan Snyder really wants his hands in things and that's why Scot was fired. Or perhaps Bruce couldn't handle someone else getting all of the glory? Or was Scot really having issues? McC was fired because of diametrically opposed views to Bruce on the Cousins situation (and money/roster authority) that turned into a nuclear meltdown. Or maybe Allen didn't want to sign Kirk and Scot did. This article suggests this was a major part of the problem. The biggest factor was an apparent disagreement over Kirk Cousins in 2015. Newly installed as starter over RG3, Cousins was still on his rookie deal and had a lot to prove. Nevertheless, McCloughan reportedly wanted to extend him at the end of training camp, while Allen dragged his feet. KIRK COUSINS WAS glowing. He'd spent months praying and patiently waiting for a moment like this, and now it had improbably arrived on Dec. 16, 2012. With their playoff hopes on the ropes, the Redskins had turned to the rookie backup in desperation after starter Robert Griffin III injured his knee. Cousins responded in his first career start by throwing for 329 yards and a pair of touchdowns in a comeback win against the Browns. Snyder and Allen were on their way to see Griffin, the dynamic multi-threat quarterback who was seen as maybe the future of the NFL. Griffin seemed annoyed that the team had given the start to Cousins, and would later confess as much to reporters. He felt his knee was healthy enough for him to play; the team's medical staff felt otherwise. Snyder and Allen were aware of the tension and sought to reassure Griffin that no matter what Cousins did, RG3 was still the Chosen One. Cousins is polite and charming but also a fiery competitor who has been dismissed his entire football career as "just a guy." On that day, he soaked up the scene and tried not to let the snub bug him. His teammates, however, were furious. When head coach Mike Shanahan heard what happened, he paid a visit to Snyder's office. "Kirk is a strong guy, and he can handle it, but his teammates are pissed at you," Shanahan says he told Snyder. "That's not the way you handle things. If you do that, you run the risk of losing the football team in the future." McC was fired because of diametrically opposed views to Bruce on the Cousins situation (and money authority) that turned into a nuclear meltdown. 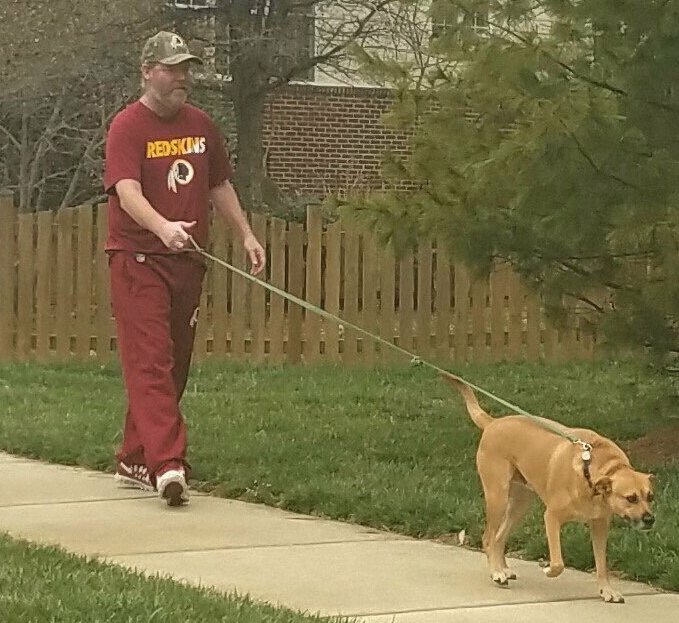 Dude, why is that homeless dude rocking all that Redskins gear? There's not much evidence to suggest Snyder is involved in football decisions these days compared to the Vinny Clown Car Era. (And, I think GMSM would have spilled it if that was still the case) But, he's been fooled into thinking Bruce is more capable than he is. And Bruce knows how to get Danny's rocks off just enough that he keeps his job and title. I also think the timeline for Vinny and BA in the OP is a little misleading. Vinny was on the heals of a good 1999 team and mucked it up. Allen came in, could have been the best GM in the league and would have needed a couple of seasons post Zorn. But, yes, Bruce needs a talent guy who he listens to... and I'm not sure it exist in the current structure. Williams deserves the chance to lead one or two draft war rooms without the board GMSM left behind. I'll also say that resigning Brown and figuring out Kirk's contract could go a long way in showing some semblance of being a legit front office. I started posting here regularly when the SM thing blew up. I was and remain extremely pissed at Snyder/Allen while also understanding the turnaround under SM was accomplished with virtually every key player already on the roster prior to his arrival. I was pissed because it showed they were going back to the old way of doing business. If Allen boggles this Cousins thing I'm not sure I will ever recover from that. Williams deserves the chance to lead one or two draft war rooms without the board GMSM left behind. This is where we differ. I don't believe he deserves that and it also scares the daylights out of me that one or two bungled drafts will take the wind out of the sails. The last thing the franchise needs is for one if it's Super Bowl winning qbs to get ran out of town as a result of being put in a position they can't handle or worse doesn't really have the power to begin with and is only a fall guy. I get plenty of beefs with the current front office structure and the players involved than just the Kirk contract. But if today's report from Rapoport is true (and considering the source that's a big If) that the FO is still unsure about Kirk and letting him leave in FA is a viable option to them -- it takes the cake for me. They still aren't sure? Wow. Hopefully, he's wrong. But considering my lack of faith in the FO decision makers I sadly consider a story like this as viable because it would be consistent to how they've played it thus far. That story got my attention a little more than normal in part because I heard on the radio yesterday that Doug apparently is heavily scouting college QBs. Love Doug the player. But Doug the personnel guy doesn't even remotely ooze competence to me. I still can't get over Chris Russell in his attempt to defend the Williams choice in one segment months back was going on and on about yeah his sources have told him that Doug was a bit lazy and not the best evaluator but apparently this Spring his work ethic has been revitalized and he's now really into it. Well, that's great to hear from one of Doug's "advocates" that he is now really into it but wasn't before. I haven't really found anything relating to Doug as to judging QBs aside from reading an article about him touting himself that he prodded the Tampa Bay FO to draft Josh Freeman and he liked him over Sanchez. We got Doug basically saying Kirk isn't a top 10 QB (with his top 15 comment in the off season) and touting how good Sudfeld looked in practice. I suspect if there is a group still within the FO as to we can let Kirk go and we'd find another one -- Doug is part of that group and Bruce is the ring leader. If so, hopefully Dan listens to another great former QB instead, Joe Theismann who said recently Kirk is bordering top 5 let alone top 10. My hope on this front is that Kyle Smith is the defacto GM at least in terms of the draft. And Doug is just a figurehead. I think Doug was ponied out there in part because of all the bad press the team got about the Scot departure -- and they might have figured Doug would kill two birds with one stone -- win over the press and the fans. It didn't seem to win over the fans. But Doug is teflon with the press so that part sort of worked out. Even with those who tried to sell Doug last off season by talking about his part with the team. All i can recall hearing was that Doug was a cheerleader type who boosted morale. The Scot thing was a downer to some and Doug lifted spirits and get people to bounce back. I don't recall anything about how it was Doug that was behind this pick or that pick or this signing or that.